“That poor girl put her trust into the…into the hands of two men who took her life. She’s in a coma. Her life is gone. She has no home, no family. She’s tied to a machine. And the people who care for her – her doctors – and you and me – have been bought off to look the other way. We’ve been paid to look the other way. If that brief bit of dialogue doesn’t ring any bells, then you have my sympathies. It means you haven’t seen (or don’t remember) one of Paul Newman’s greatest roles and a fine film noir. “You wouldn’t call Newman’s character ‘desperate’?” I asked. We didn’t resolve our argument that night, but he most certainly agreed with me that The Verdict, no matter how you classify it – Legal thriller? Courtroom drama? – is one of Newman’s best roles. 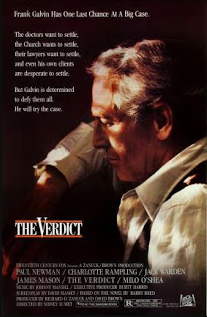 Masterfully directed by Sidney Lumet, The Verdict was released in 1982, but to me it has the feel of 1970s Boston. I spent a lot of my summers there, and it’s definitely the Boston of small neighborhood taverns and longstanding, but corrupt institutions, like the court system where Newman’s down-on-his-luck attorney, Frank P. Galvin, tries to seek justice for his client. The setup is pitch perfect. The film opens with Newman playing pinball in the middle of the day in his neighborhood bar. It’s one of those places that doesn’t really exist anymore – in Boston or anywhere else. A shot and a beer joint that lets you run a tab, serves remarkably good food out of a tiny kitchen, and where you get a buyback every few drinks, whether you’re a regular or not. Newman’s success (and failure) at beating that pinball machine becomes a running metaphor for his life in general. From that opening scene, Lumet strings together little snippets that, in about 10 minutes, tell us everything we need to know about Newman’s Frank Galvin. He bribes a funeral home director to get into a wake. He scans the obits for his next mark, a half-eaten sugar donut covering one side of the page, a shot of whiskey the other. As Galvin tries to knock back his morning shot of whisky, he’s so shaky from the night before that he can’t pick up the glass. After furtively looking around the bar – a great bit of acting in which Newman tells us that Frank Galvin has done this before – he puts his face down to the bar and sips just enough from the rim of the glass so that he can pick it up without spilling. Then it’s off to another funeral, followed by another night of drinking with the local boys. Galvin wakes up the next morning, passed out on the floor of his sloppy law office. In no time at all, we understand that Frank P. Galvin is a guy who’s just barely holding on to what he once had. Enter Mickey, Galvin’s old mentor and the foil for the story. Played perfectly by longtime character actor Jack Warden, we learn that Mickey has thrown a sympathetic bone to Galvin; a medical malpractice suit involving the Archdiocese of Boston. The trial is coming up and Galvin hasn’t done a thing to prepare for it. The whole world, it would seem, has given up on Frank Galvin. But he needs the money, so he starts cramming for the case. He meets with the family of Deborah Ann Kaye, a young girl who went into the diocese-owned hospital for nausea, was given the wrong anesthetic, and is now on life support. He meets with a doctor – an expert witness that Mickey set up for him; he’ll testify that the hospital gave her the wrong anesthetic. Galvin’s all set to present his pre-trial evidence to the archbishop, collect one-third of the hefty settlement they’re sure to offer, and go on being the sot that he has become. Then he goes to see his client, a young girl living on a ventilator. He goes there to take pictures of her, to squeeze a little more money out of the archdiocese. But it’s not that simple, because Frank Galvin has a conscious. Not much of one, but a sliver. And it reaches up and bites him. “I’m her attorney,” he says. With one look, Newman’s character tells us that he’s not only her attorney, but for the first time in a long time, that actually means something to him. He goes straight to the archdiocese, they offer him $210,000 to settle the case out of court, and he recites the bit of dialogue that I used to open this piece. When Mickey learns that he turned down the settlement – a check that would have “taken care of you” – he’s livid. But Frank Galvin is a man reborn, suddenly reminded by his client of why he became an attorney, and what that means in terms of his integrity. “I’m going to help her,” Galvin says to Mickey. “Mick, Mick, Mick,” Galvin pleads. Then Mickey has a warning for Galvin. Mickey frowns, knowing it’s no use. “Mick, will you help me?” Galvin pleads. He does. And what ensues is a great human drama, of a man – a desperate man – trying to redeem himself and find what little dignity he has left in life. If that doesn’t qualify as a noir, I don’t know what does. 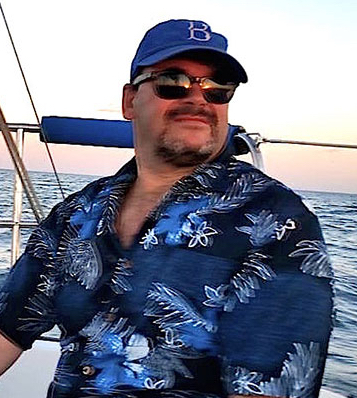 contributor to Stay Thirsty Magazine and the Wall Street Journal.